Elegant looking Hotel with the comforts of world-renowned services. Situated near the Langford Town, is the elegant looking Hotel Red Carpet Residence with the comforts of world-renowned services and regal suite accommodations. 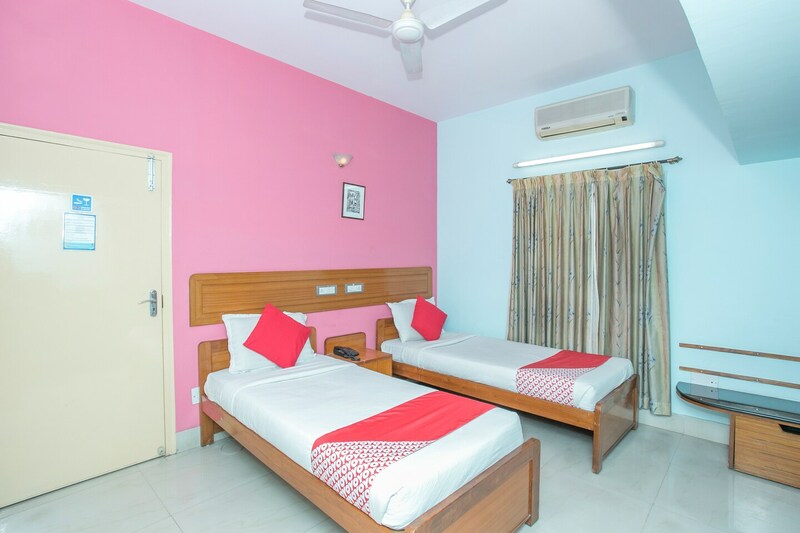 The bedrooms at the hotel have pastel colored walls and light wood furnishings with several paintings adorning the walls, thereby keeping the ambience of the rooms warm and comfortable. The hotel provides its guests with amenities such as a geyser, free Wi-Fi, power backup, CCTV cameras and a card payment option that encourages the guests to go cashless. You can travel Bangalore easily from this hotel as this area is well-connected to the rest of the city and visit famous attractions like St. Mary's Basilica, Bangalore Palace, St. Mark's Cathedral. and Sri Gavi Gangadhareshwara Swamy Temple.